A visit to the Rare Book Museum of the State Russian Library, with private viewing of books of special typographic merit for the conference attendees. Participants will have a unique opportunity to see and handle rare typographic masterpieces, enjoy first editions of the Russian classics; and examine the wealth of Cyrillic type specimens of Lehman, Revillon, and other leading pre-revolutionary type foundries. Advance registration required. Works That Work is an international magazine for the curious mind, intending to surprise its readers with a rich mix of diverse subjects, connected by the theme of unexpected creativity that improves our lives. We publish original, in-depth essays and stories on subjects related to design, and present projects that challenge and change the way we perceive them. Perhaps most importantly, we hope to publish articles that make great dinner stories. Peter Bilak discuss current type design, in relation to new possibilities offered by the print and screen-based media. 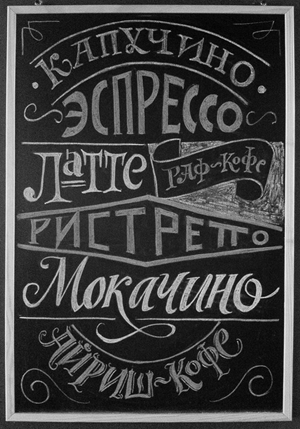 Typejournal.ru is a new online journal devoted to type design and typography in the Russian-speaking world. The journal covers classics of Cyrillic type design (including the work of Vadim Lazursky, Solomon Telingater, Galina Bannikova, and others), as well as work by contemporary designers. 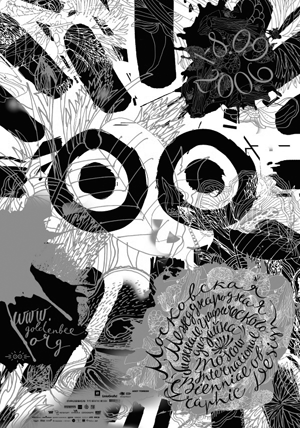 Typejournal.ru features articles and interviews on the history of typography, news, technology, education, inspiration, and other important issues of typography and type design. This year is the 110th anniversary of birth of Solomon Telingater, one of the most important Constructivist book designers. Vladimir Telingater will cover some of the major periods of his father’s work, including graphic design, type design, and lettering. Developers of FontLab, the leading font editing software in the world, will answer questions from the audience. Artem Utkin (1986—2012). Moscow State University of Printing Arts graduate. He attended Alexander Tarbeev’s type design course. In his four brief years of professional experience as a designer he managed to do accomplish a lot, including design of periodicals, books, and, naturally, typefaces. His first font family Solution was unfinished, however, his next venture in type design, MTF is presently used as the navigation font for the Moscow Metro. It has 48 weights and has become quite popular. The talk covers evolution of pre-reform Cyrillics that inspired generations of artists and typographers since XIX century. Renewed interest in the pre-reform Cyrillics, evolution of its letterforms, its changing ideological implications, and designers’ complicated feelings about their heritage will be addressed. 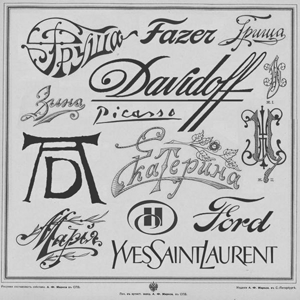 Writing as Image: Calligraphy and the Logo. Letter shapes often communicate on the esthetic level faster than the literal meaning of the word does. 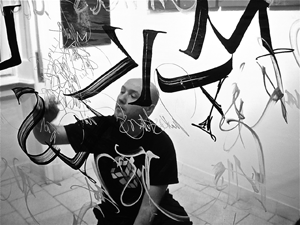 The speaker will explore the world of the contemporary calligraphy as applied to corporate identity. He will demonstrate how Latin historical scripts adapted to new and unique forms may impart a nonverbal message sometimes more effectively and directly than fonts. Audree is a type system with several hundred weights. 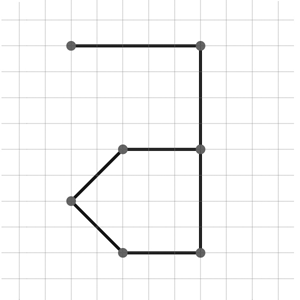 A user-friendly interface allows one to assign variable parameters to basic shapes mathematically to arrive at a multitude of styles. The end result transcends definition of a typeface, rather it is a powerful design tool that allows infinite customization, based on local and historical preferences. No font could lay a better claim to the name of a “super family”. Design proficiency alone may not be enough when it comes to projects for religious institutions. One needs to be aware of the symbolism and the visual language of the particular tradition. A lack of familiarity with conventions and history of visual communication within the culturemay lead at best, to meaningless, or, at the worst, blasphemous results. One’s appeal to postmodern artistic license may in this case meet little sympathy from the client. On the other hand, it is important to avoid historical pastiche and learn to maintain the essence of a visual tradition in the modern world, while not being slavish to the details of past models. . Alexey and Oleg will share their thoughts on their experience of maintaining creative freedom while being respectful of the religious traditions. As a type designer, how do you approach the design of a script that you cannotread? What are the pitfalls and issues to look out for? We will discuss these questions using case studies from our experience at TypeTogether via Skype. Overview of the new ways of font licensing, where a customer can get fonts by subscription and pay for the time of usage instead of the conventional permanent license. A similar system in Web font licensing with payments based on real traffic is already in place. This new option is now becoming available for desktop fonts, as well, with Skyfonts by Monotype, Font Sync by Adobe, and Rentafont by Rentafont. users. How do we determine which typeface will best resonate with the audience? What kind of interplay will be created between typeface, text and reader? Results of our attempts to grapple with these and other issues will be presented using examples from a number of publishing projects. The Two Cyrillics. A More Exciting History. in the two languages. This lecture will explore the close relationship between culture, history, and type design. It will explain how type design has contributed to the cultural identities of the two countries that employ the same writing system. This lecture is not about instruction in proper design of Cyrillic typefaces. It is about the importance of cultural awareness in type design. a subject that has not been thoroughly investigated until now with the help of international resources. — Field research: types found in a printing office. —How many fonts can a printer identify today. 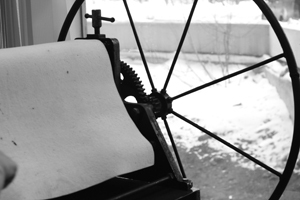 —A printing house is the final step in the chain of production of printed letters. Alexey will share his observations on which fonts from the variety of typefaces available today actually makes it into print, which typographic solutions survive in the marketplace, and why. of interest. In the last few years, the interest has been shifting to new developing markets, which employ non-Latin scripts. Companies that invest in a consistent visual identity, expect to differentiate themselves with the help of typography, strengthen their brands, and enter new markets. In this presentation we will examine a number of recent case studies, discuss issues such as emotional type design, suggest typographic solutions based on the target audience, and time-permitting, we will present a brief primer on contemporary Greek typography. This calligraphic workshop explores similarities and differences between two varieties of British round hand. This workshop will demonstrate the simplest and the quickest way to print lettering on an intaglio press. This workshop will analyze the Russian Half-Ustav a variety of its manifestations: from banner-size to microscopic; from deliberately formal to fast and vigorous; from ancient manuscripts of the 14th century to the times of of Peter the Great. Although Half-Ustav is mentioned in every history of the Cyrillic script, to really appreciate it, one needs to try one’s hand at it. 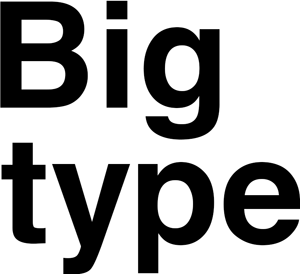 Big Type. International poster exhibition. This three-day intensive calligraphy workshop will explore Apollonian and Dionysian aspects of calligraphy. We will experiment in Roman inscriptional capitals, as well as in intuitive freehand calligraphy. We will learn to see a name as a visual unit: a device, a seals, a brand, a logo, or a monogram. We will analyze the visual and literal structure of a name, including the characters that make it up, its prosody and associations, to construct from it a self-contained mark. What could be a better basis for a logo than a proper noun, or, more properly, one’s own name? Type Masters. Type Design Projects by students of the postgraduate program at Type and Media Course (KABK, The Hague, Netherlands). 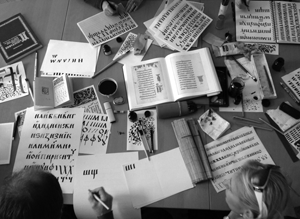 Those fortunate to be among the twelve students chosen each year are offered a rare opportunity to gain a deep understanding of the mysterious and exciting profession of a type designer. 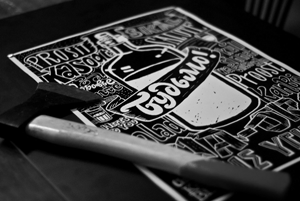 The program allows to explore a wide range of tools to be able to create an original design at its completion. Maria Doreuli, a recent graduate and the curator of the exhibition, presents 12 new typefaces, which are term projects of her classmates, each with own story. Graduates of the course Ilya Ruderman (2005), Irina Smirnova (2010), and Krista Radoeva (2013) will share their impressions, and will discuss its influence on them and on their work process at the opening. This intensive workshop will focus on designing a theatrical poster, commissioned by a director of a local theater. 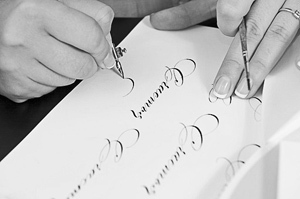 November 12, 11:00 am–12:30 pm: Calligraphy in Poster Design lecture, homework assignment. November 13, 11:00 am–5:00 pm: practice. 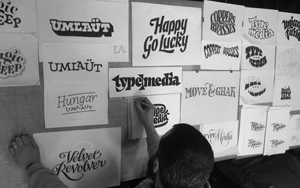 Experts in type and typography will answer tricky questions from the audience. Who’s going to come out a winner?